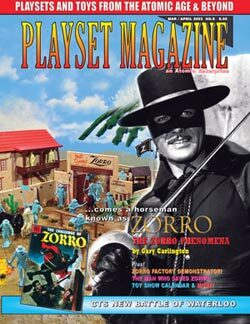 Issue 8 (Mar - Apr 2003): Zorro! Out of the Night . . . and into the pages of Playset Magazine. to complete coverage of the playsets.